Giant Caves is a bukkit mod that creates giant underground caves in the world. The caves are generated using Perlin noise seeded by the world seed. Caves are unique to each world. Giant Caves is implemented as a bukkit block populator and is compatible with the vanilla world generator and most likely any world generation plugin that implements the chunk generator pattern. Giant Caves also comes with a vanilla generator for use with Multiverse. Stop the server if it is running! Download the plugin and put it into your plugins folder. Start your Server to make the plugin generate default world configuration files for known worlds. Yay, glad this plugin got an update! 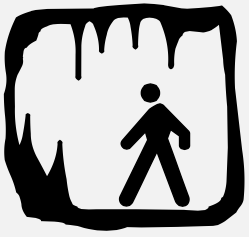 Actually, Caves in real life are carved VERY close to this. Good job on replicating real life, developer! still with no response :( it would be really great if we could use it for 1.9(.4) servers!! That is creating spigot Given Its Own craftbukkit and spigot , Please , Could you update GiantTrees and GiantCaves to 1.8 or 1.9 when it comes out , are excellent plugins, adding donations , there are many people like me Who Want to donate to development of the plugin and we can not. I had a survival world on one of my servers on my network that required this plugin to work. I had 2 developers that worked for me. When spring/summer hit, both decided to take "real jobs" in the real world. The one I haven't heard from since and the other is hard to talk to. Over the last couple months I've been rethinking my position on Minecraft and I may just leave this game and not put any further effort into it. Mammothskier, you wanted the code? I'm more than happy to share it, once I figure out how to get it again. I just recently wiped everything on my system but I am certain I kept a copy of it. Please provide me a pm or something and I'll share the info with you in a PM. I'll rarely be by these parts again. My developer got the main bugs fixed (we didn't fully test it, we just verified on startup) but could not get it to work with multiverse without it crapping out. Then my developer just kinda... disappeared. I have a indev version but I haven't actually fully tested it to see what it does. I definitely know it doesn't work with multiverse. Will he do Giant Trees also? Hey guys, I have a developer that is working with me to get a working version of Giant Caves for 1.8 spigot. Stick around guys. Now that spigot is still alive, will you by any chance be working on this project in the future? Atually they would, if when doing the export you had previously marked all chunks as unpopulated... with the consequences it has if you had already populated it, which means twice the amount of ores, new trees everywhere... and that would break your in-game-made constructions, like villages as trees could generate (too) close to these ones. Giant caves only generate in new chunks. You won't get any caves in a pre-generated world. would getting this plugin effect my custom made world in world painter in anyway? like giant caves halfway to the surface? Added to the description. Thanks!